The quintessential actor's life is filled with lessons that motivate and inspire you to move ahead and chase your calling. Amitabh Bachchan needs no introduction. Starting his film career in 1969, he continues his unstoppable journey 44 years later. His indomitable spirit -- rising ever so many times from his own ashes, the way he has refused to let his ailing body get in the way of his passion, the numerous failures which have only made him stronger -- makes Mr Bachchan a role model not just for Bollywood and the movie world, but for anyone who has the desire to dream and the will to make those dreams become reality. Here are some quintessential entrepreneurship lessons from the Big B.
Mr Bachchan started his career with Shaw Wallace and then went on to work as a shipping freight broker for Bird & Co. In 1969, he boarded a train to Mumbai to pursue his Bollywood dreams. But at 6 feet 3 inches and with his dusky complexion, no film-maker was willing to give him a chance. In an attempt to get a break at least somewhere, he auditioned for All India Radio but there too, he was rejected. Even after his first break in Saat Hindustani where he received a National Award for Best Newcomer, it took him another two years to bag his next role. But Mr Bachchan never gave up. Forty four years later, he has acted in over 200 movies, sung songs for more than 24 of them, produced 8 and won more awards than one can count. In 2000, he became the first living Asian to be modelled in wax at Madame Tussaud’s in London. 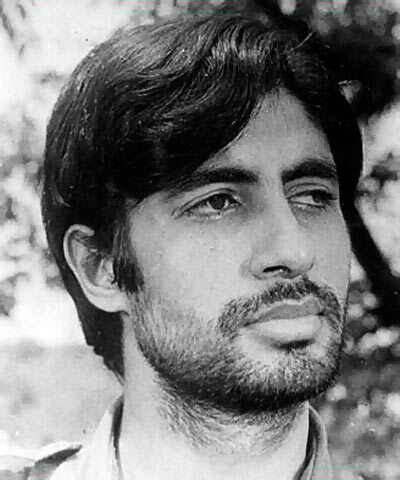 It was a letter of introduction from Indira Gandhi that finally bagged Mr Bachchan his first role in Saat Hindustani. Another such letter to Nargis convinced Sunil Dutt to sign him for Reshma Aur Shera in 1972. Trying to revive his dying career at the turn of the millennium, he turned to Yash Chopra for help, which led to his casting in the highly successful film -- Mohabbatein. Seeking help never made Mr Bachchan any lesser of a human being. 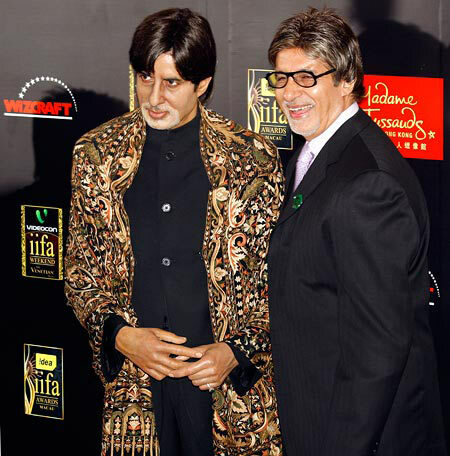 In fact, the way he has sought help and never forgotten those that helped him, make me respect Mr Bachchan even more! 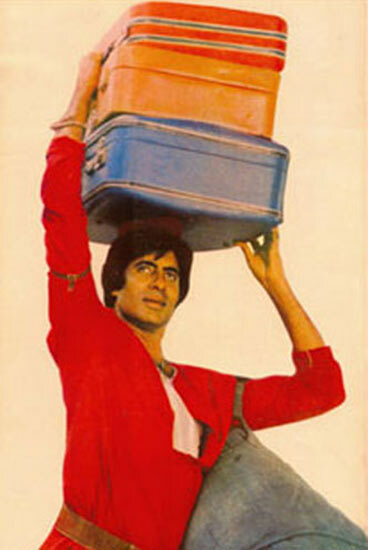 After the success of Anand in 1971, Mr Bachchan had 12 consecutive movies that flopped. But he came back with Zanjeer in 1973 and followed it up with epic roles in movies like Chupke Chupke, Deewar, Sholay and an almost unending list of other successful movies. His career again went into the doldrums in the 1990s, where apart from a few hits like Agneepath and Hum, there was little to cheer for. In 1996, he launched ABCL but this too failed miserably and lost millions of rupees. But failure never stopped Mr Bachchan. In an interview on TV show -- Koffee With Karan, he shared how media had written him off but that only inspired him to do better -- He said: "Her words were -- his sun is setting, this is the end of him. I think these words... can act as a great incentive to motivate yourself. It gives you a big kick when you can disprove that." 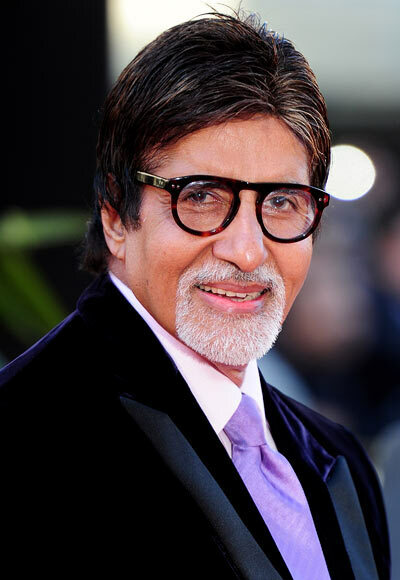 Mr Bachchan is known to be constantly pushing himself to do more. 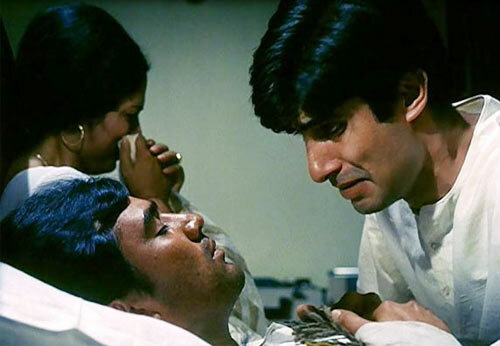 He suffered a near fatal intestinal injury while shooting for Coolie in 1982. Many others may have hung up their boots after an accident that left their spleen ruptured, requiring several months of hospitalisation. Not Mr Bachchan... Instead, he recovered and came back to complete filming the movie! He was then diagnosed with myasthenia gravis -- an autoimmune neuromuscular disease leading to fluctuating muscle weakness and fatigability. In spite of these problems, he still jumped from a height of 30 feet for a stunt in the movie, Aks. In 2005, he once again landed in the ICU for diverticulitis of the small intestine. But this living legend refuses to stop. On October 31, 2006, he shocked the unit of Shootout at Lokhandwala by recording 23 scenes in five hours, a feat that actors half his age don't have the stamina for! In his own words, "I like to feel the butterflies in the stomach, I like to go home and have a restless night and wonder how I'm going to be able to accomplish this feat, get jittery. That hunger and those butterflies in the stomach are very essential..."
How many actors have acted as a villain in the remake of their own movie, where they were the hero? How many have had the courage to depict a romance between a man and his daughter’s friend, as he did in Nishabd? Who else in Bollywood has ever tried to play the role of someone suffering from Progeria, that too as the progeny of his own son in real-life, as Mr Bachchan did in Pa? Forget his role as an actor; Mr Bachchan has been a singer, a producer, a politician, an entrepreneur, one of India's most successful TV show hosts and now, an active blogger. Even today, at age 71, he is excited about doing a new TV series -- "This is a fresh initiative and one that I felt I needed to explore, so there it is... The idea really is to do something out and away from the groove." There is so much more to be written about Mr Bachchan that this post will never be able to do justice. "Change requires immense will... will to adjust, to understand, to look at the other point of view, perhaps to get up from a position of regulated comfort and to walk across to the fence to peep into the 'greener grass of the neighbour. It may require quantum leaps... but the way of the world has only prospered for those that have continuously made effort to do so..."